After Christmas H's brother and his partner flew down to join us. They stayed in a cute hotel and we stayed in the port parking area. The area of Nafplio is popular with Overlanders and motorhomes wintering in Greece. As I mentioned we stayed in town on the port parking as did many other motorhomes, others stayed (also free parked) on the beach 5 km away, and some paid to be in a campsite (showers, toilets, dumps, wifi) 10km away (at Drepano). On one occasion I counted 22 motorhomes on the free beach place. 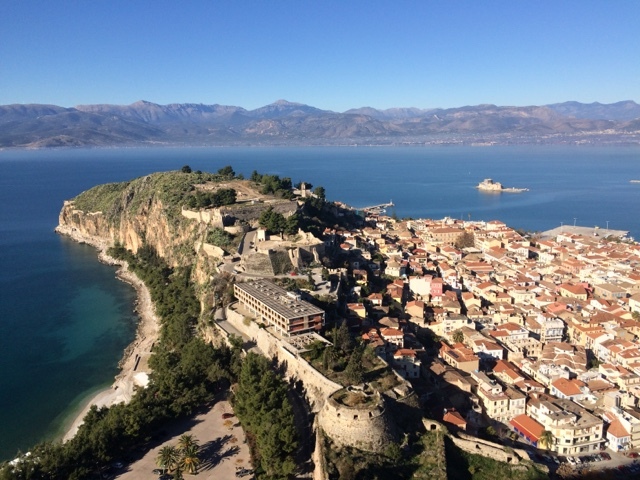 Nafplio is a nice place for typical touristy things: sightseeing, shopping and dining out. We even hired a car for a day to visit the archaeological site of Epidaurus and wineries. For the most part we had wonderful weather, but one day was horribly cold. 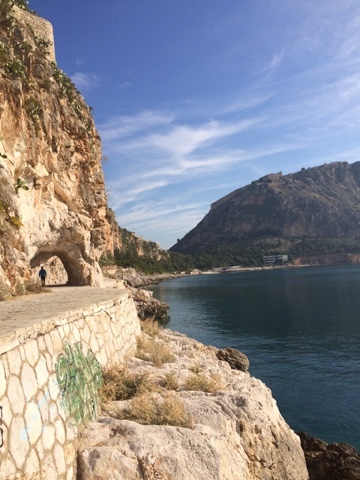 The Aussie likes some time to herself, so she found cycling and walking Nafplios coastal walk a nice little escape. Climbing the 999 steps to Palamidi fortress is a tough challenge but worth it for the view! And the fortress is a great place to explore too. 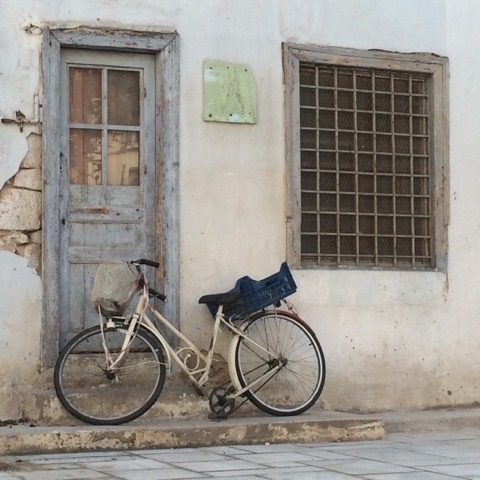 The streets of Nafplio had rustic sights to find whilst getting lost in the little alleyways.